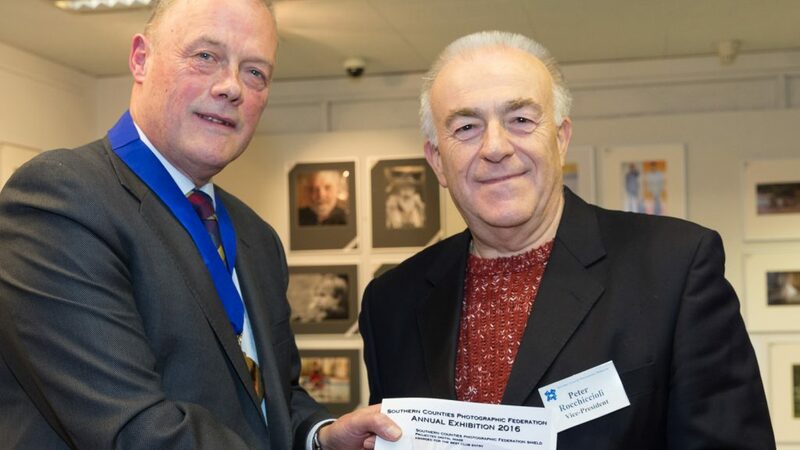 Friday night grand opening of The Southern Counties Photographic Federation exhibition and awards presentation. Presentations by Tony Oliver SCPF President. 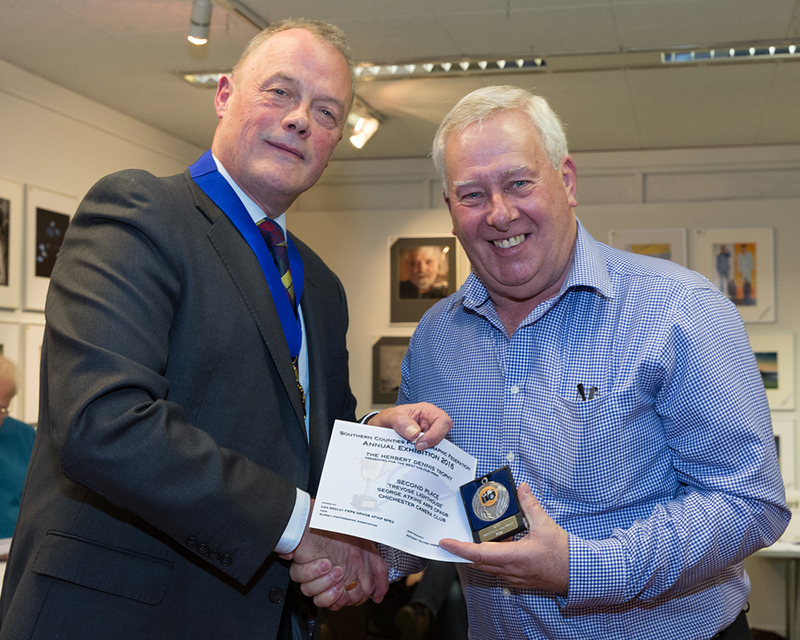 George Atkins getting his Silver medal for second place in the print section. Keith Sawyer gained a certificate for his ‘Mind Games’ as Highly Commended PDI.